Now, it came time for Bosworth to say (imitating Bosworth), “No, no, no, I didn’t mean any of that, and I apologize to anybody who might have been offended by it.” Apology 101. “My statement on the recent Buzzfeed story containing a post I wrote in 2016.” I didn’t agree with what I wrote. I was only playing devil’s advocate in a memo be circulated only within the company. It was a devil’s advocacy memo. It was not meant to express policy or anything like that. So they’re in trouble. The memo’s interesting, and some people claiming that it’s being reported out of context and so forth, fake news, don’t know. But I haven’t yet heard or seen Mrs. “Lean In” Sheryl Sandberg weigh in on this, but it does appear that Facebook has got a problem. And you know, any company, folks, any company that offers its services free, it means only one thing. It means you are the customer. You’re the product, actually, and you are the one being bought and sold. And that’s exactly how Facebook is structured. Under Armour. You hear about this? Under Armour, massive data breach from its fitness app, 150 million people use that app. Another big data breach. Not sure exactly when it happened, but once again, this is forcing people to deal with the fact that their data is not totally secure and private no matter where they put it. RUSH: Grand Rapids, Michigan. Doug, Open Line Friday. You’re next. Hello. RUSH: Sure. Have at it. Whatever you want. It’s Open Line Friday. Go anywhere. CALLER: Yeah. I mean, he did that meet-and-greet tour around the country, so he’s out there talking to people for, what was that, last year, the year before? RUSH: Yeah, the years run together, but I think it was shortly after the Trump — Trump had ’em turned upside down, so, yeah, probably the last year. RUSH: Wait a minute. Wait, wait, wait, who’s painting him as a victim? CALLER: By the Democratic side and the liberals, to bring Zuckerberg in to run for office. RUSH: They’re destroying him. How could he run for office after this? The guy’s a thief. He steals everybody’s identity and sells it to everybody else. CALLER: Well, on that side of it, I’ve heard rumors that he’s using this to create artificial intelligence. RUSH: Well, okay, I see your line of thinking on this. And I know what you’re basing it on, and you’re basing it on something that did happen. Folks, Google and Facebook were in bed with the Obama campaigns and presidency! Google more so than Facebook. Google, you could look at White House logs. The number of times the CEO, Eric Schmidt, was in the West Wing meeting with Obama, it’d blow your mind. They practically had an office. Google was, for all intents and purposes, the data and IT weaponizing aspect of the Obama campaign and presidency. And Facebook is right there with ’em. And when it comes to Facebook, we’ve had the sound bites here where Obama campaign people brag about sucking up, hoovering up all of the Facebook data for Obama’s reelection campaign in 2012. And we’ve had the New York Times stories talking about the geniuses in the Obama campaign that maximized the usage of all this Facebook data. Cambridge Analytica comes along and gets a measly 50 million people worth of data, and all of a sudden it’s a crime, whereas Zuckerberg openly, willingly worked with Obama to provide all of the user data for all of Facebook’s users to the Obama campaign, and there was no thought of it being criminal, there was no thought of it violating federal election law, campaign finance, none of that. It was pure genius. 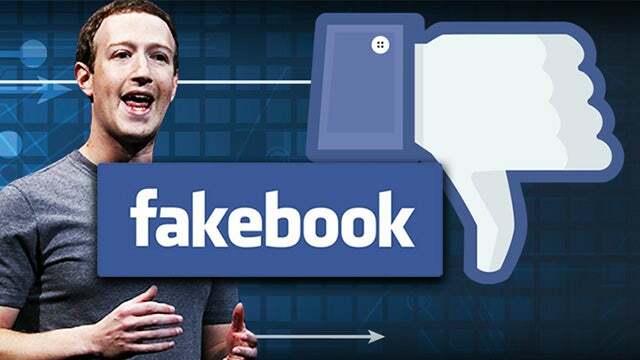 So on one hand you could see that Facebook’s Mark Zuckerberg could be being groomed for further use in the Democrat Party because he has at his disposal everything there is to know about everybody in America who is a Facebook member. Facebook’s got two billion users worldwide. Our population’s 300 plus million. He’s got all kinds of things. But now, all was fine when nobody knew this was going on. But now, now Zuckerberg is persona non grata. To be grooming this guy to run for office, I can see where some in the Democrat Party might want him to because he’s young and when you strip away all the bad PR here, the real great benefit to Zuckerberg and he’s figured out a way to get every American to tell him everything there is about them, even if they don’t want to. Did you see that Facebook, with some of their apps, has even found a way to listen to you in your home? I’ve had people tell me — I don’t know if this is true — I’ve had people tell me they’ve been on the phone talking with a friend and in the conversation they talked about a place they might want to go to vacation, and within hours on their phone there’s an ad for that place, and they were talking on the phone. They were not emailing or texting. And they didn’t think anything about it until they heard that Facebook might have been able to listen to people through Facebook apps. Your phone has a microphone, obviously, and your computer has a microphone. Now, Facebook, the customers are the product. Facebook would sell everything they learned about you to advertisers. Now, in politics, that is a gold mine. There’s no question. But here. Let me ask this question again. I know Zuckerberg is… is he 30 years old yet? I’m sorry to burden you here with the way I think about things, but here’s a kid — a kid! You have to understand, when I grew up, when I was a kid, I was a kid! I was not an adult. I was not brilliant. I was not prescient. I was a kid. You had to go through being a kid before being treated like an adult. You would not be treated like an adult until you were one. (interruption) Thirty-three. Okay. When I was growing up, you weren’t going to be given a lot of responsibility and a large salary just because you demanded it or wanted it. You had to have some experience. It had to be positive. You had to have a decent kind of resume. So here’s this kid, goes to Harvard and creates, as an avocation, Facebook. He’s trying to meet girls. The age-old quest of every guy: meet girls. So he creates something called The Facebook. And he’s putting it together while he’s a student, and it grows and grows. Long before he hit 30, he figured out that the real gold mine he had was collecting every bit of information on every user he could. He was himself hoovering up information. He wasn’t providing anything other than an opportunity for other people to connect with each other. Did he have this idea on his own, or did one of his early investors, or did one of his friends — but to me it’s amazing. I know we have prodigies and special people and people that are advanced way beyond their years, but what Facebook has become, just take away the politics of it for a moment and the momentary controversies; it’s a massively successful, out-of-this-world successful thing, creating an audience of two billion? Look at it that way. An audience of two billion. Nobody has done that. Nobody has that. CNN doesn’t even have a million. And if you take away the monopoly they have in the airports, take away the pornographic star interviews, you practically have nothing over there, and they’re seasoned experts! RUSH: I’ve always thought that it was Sean Parker, one of Zuckerberg’s earliest confidants and partners, that told him what he had there, a gold mine that he could mine if he wanted to, the guy that founded Napster, so forth.